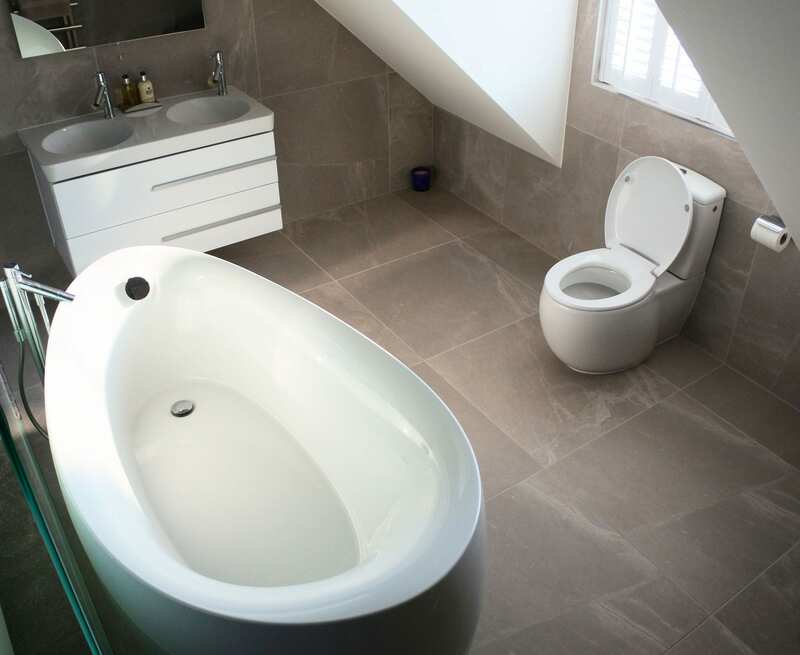 Divided by a minimalist glass panel, this en suite was designed to add functionality and a modern twist to the already existing bedroom. A large freestanding bath sits as a center piece behind the dividing glass screen, with the matching WC sitting below the window. The sloping ceiling allows for a double vanity unit and illuminated mirror, creating an ideal and light space. The highly polished radiator gleams on the opposite wall with it’s attractive chunky rails. 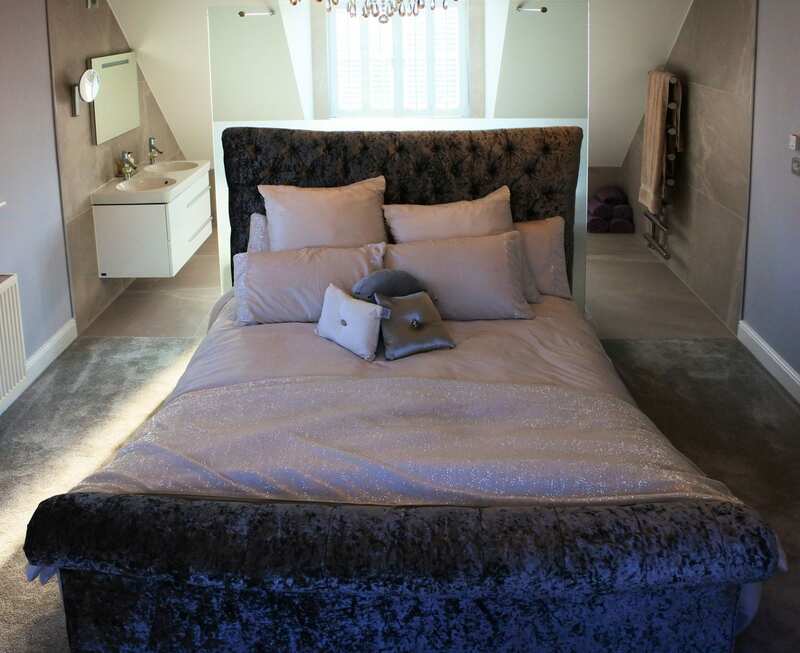 The large grey tiles run throughout the en suite, helping to divide the bedroom space and overall creating a contemporary and fresh feel.